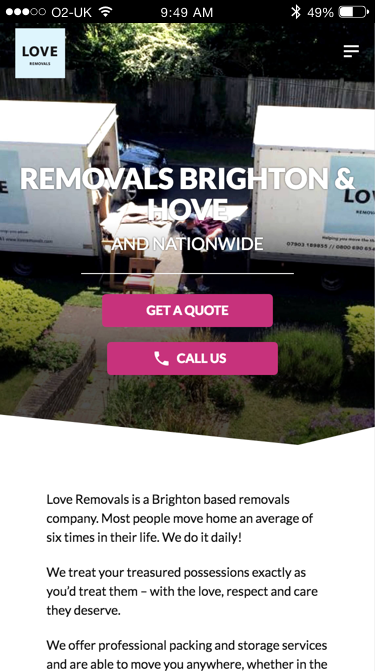 Love Removals needed to update their website as their existing one wasn’t representing themselves as well as they wanted, and there were also some SEO limitations which were preventing them from ranking as well as they wanted in search results. 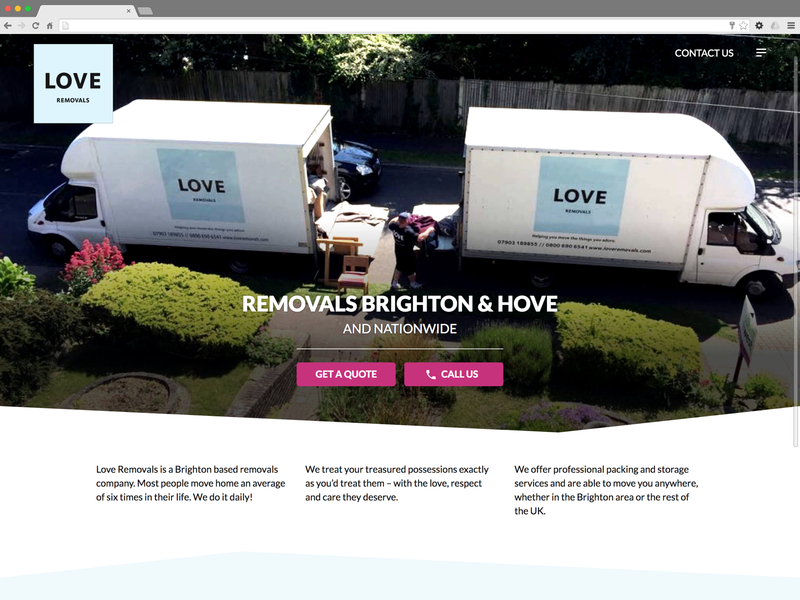 I have built a bespoke WordPress theme for them, with great SEO optimisation built-in from the start, and a fresh design and new colour palette to go with their existing branding. 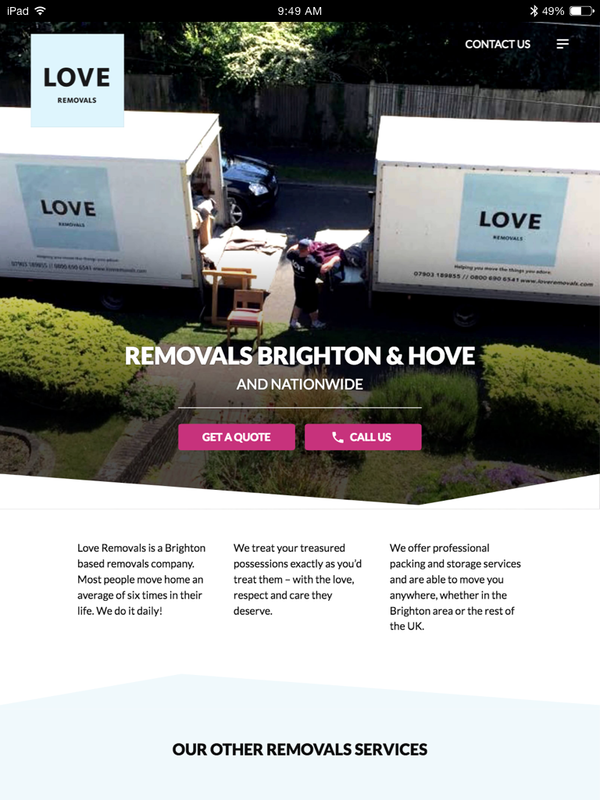 A range of icons were designed and used to illustrate Love Removal’s services, together with some images of the team and their vehicles. Prominent Calls To Action are on every page to ensure that it’s easy for a potential customer to get in touch and receive a quote.